If you’ve been thinking about ways to sweeten up your look, spring’s the perfect time to do so! With pastels sweeping the racks of nearly every store right now, this season brings a great opportunity to take your wardrobe to new levels of cute and playful. This week’s Fashion Inspired by Art post showcases the work of American artist Wayne Thiebaud, and we’re drawing sweet inspiration from a painting that features a dessert favorite – the cupcake! Read on to learn more about Thiebaud, and to see three outfits inspired by this delectable painting. Born on November 15, 1920, Wayne Thiebaud is an artist associated with the Pop art movement. He is best known for his use of eye-catching colors and his paintings depicting everyday objects. His works include – but are not limited to – paintings of food and cosmetics, as well as landscapes and people. 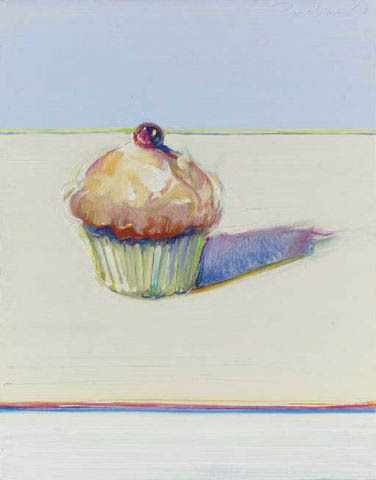 Thiebaud is also noted for his employment of hyper realism, and has been compared to artist Edward Hopper. I found his paintings to be oddly charming: they flaunted a certain simplicity yet were beckoning enough to make a statement. I also enjoy his use of rich, exaggerated color – especially the way he managed to make even the palest pastels pop! Overalls are definitely back, and just in time for the energy of spring! If you’re looking for pants as opposed to shorts for your overalls, try out this pair. Lighter denim works as a nice foundation for pastel looks, but if it’s contrast you’re after, there are plenty of overalls available in a darker wash.
Mint green is no longer just for toothpaste or for the walls of your dentist’s office. This refreshing color is everywhere this season, so add some flavor to your look with this comfortable mint sweater. 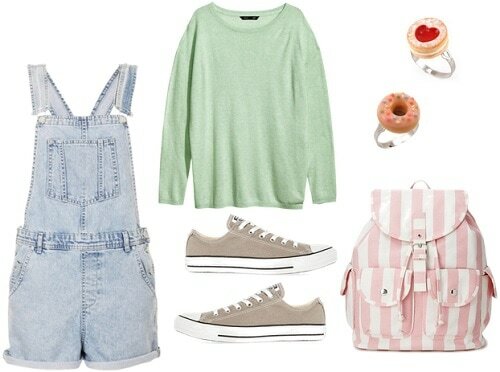 The striped backpack adds another sweet dose of pastel. The light grey hue of these Converse helps hold the pastels together while still complementing them. Finish with accessories that look sweet enough to eat – these rings are scented, too! 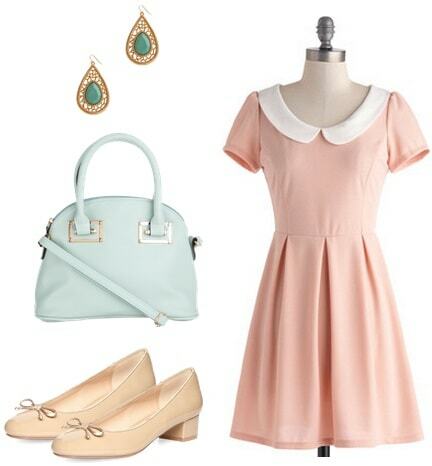 There is no quicker way to sweeten up your look than with a pastel dress, so why not take the charm a step further and go for this cute, retro number? This ice blue bag adds a refreshing touch to your rosy outfit, and bold earrings pop against the pale palette. Whether you’re planning to take a sunny stroll through the park or stop by the patisserie around the corner, these low-heeled shoes will get you there without sacrificing comfort for style. Not a fan of matching your shoes to your dress? Check out this pair of kitten heels, and choose from a light cyan, a blushing pink, or a pure white. If it’s especially bright outside, wrap up your look with these stunning sunnies! If you’re still easing your way into the world of pastels, try pairing pastel accessories with simple, versatile pieces, then build from there. Casual boyfriend jeans and a basic white tee work with just about everything, and with an expanse of light, candy-like shades at your disposal this season, you’ll have plenty of room to experiment. 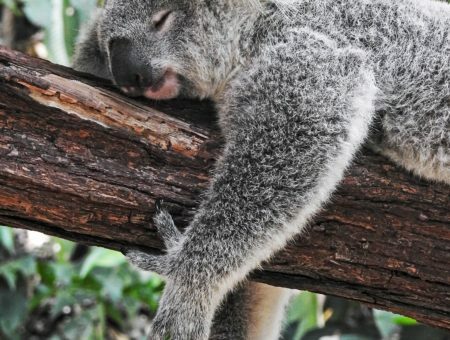 To further balance the pastels (and to stay warm! ), slip into a cozy cream-colored cardigan. This bright nail polish from Essie will be especially striking when peeking out of your sleeves. Pastels are an easy way to instantly update any outfit and transform basic pieces into an entirely new look. While this post centered on relaxed and playful ensembles, pastels are hardly limited to that particular vibe – you can always toughen them up or rock them while getting business done. 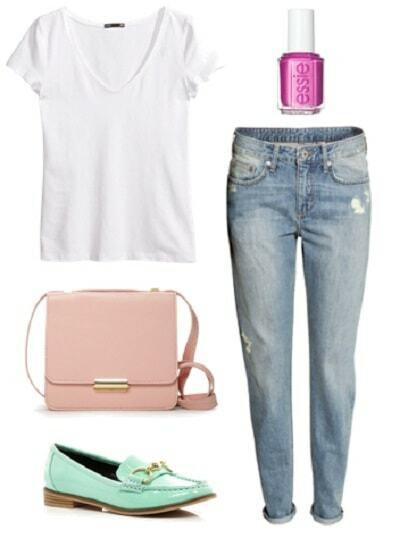 What’s your favorite way to wear the pastel trend? Do you find Thiebaud’s work inspiring? Which of these outfits do you like the most? I’d love to hear your input in the comments section below!